Accidentally walking into objects such as walls, doors, glass windows, tables and chairs, etc. These and other workplace injuries often result in back and neck pain, shoulder and hip problems, and carpal tunnel syndrome. 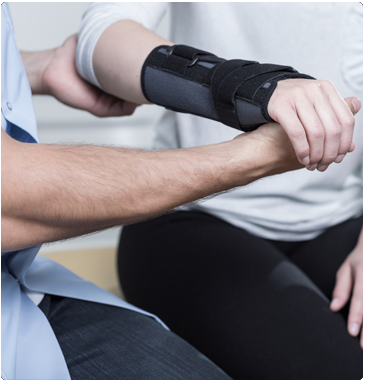 At Spectrum Orthopaedics, we have experience in treating people who have been injured on the job, and we offer a number of ways to help. First, we provide expert care – from diagnosis to treatment to rehabilitation – and we can help you can get back to full strength as quickly as possible. We also help with the paperwork, by providing all the documentation you need to receive your workers' compensation. Finally, we can help with prevention by teaching you how to minimize repetitive injuries. For workplace or industrial injuries, trust the experienced doctors at Spectrum Orthopaedics in North Canton, Ohio.